Acting on a motion by Supervisor Mark Ridley-Thomas, the Board of Supervisors voted unanimously to streamline the process for bioscience, biomedicine, and biotechnology companies to set up shop in Los Angeles County’s unincorporated communities, which span 2,600 square miles. The motion directs the Department of Regional Planning to examine the feasibility and legality of creating an overlay zone to help fast-track the entitlement and permitting process for bioscience incubators, research facilities, and wet and dry labs. Next month, the Supervisor will take another major step to champion the bioscience and life science industry as an economic engine in LA County. This industry currently generates more than $40 billion in economic activity annually, supports 70,000 direct jobs and 160,000 indirect jobs, and has tremendous potential for creating even more jobs – at all skill levels. On September 20, Supervisor Ridley-Thomas will host the first Los Angeles County 2018 Bioscience LA Summit, with more than 200 bioscience entrepreneurs, investors, researchers, clinicians and students expected to attend. The summit will present achievable solutions for fully realizing the potential of the bioscience industry, as well as highlight recent achievements and accomplishments. Panels will include LA’s Bioscience Ecosystem, Nurturing Success, Building a Trained Workforce to Support the Industry, and Bioscience Action Plan for Los Angeles. The Summit will include a keynote presentation about Synthetic Biology by Indie Bio Program Director Ryan Bethencourt. Rendering of 350,000-sq. ft. Bioscience Tech Park envisioned on LA County’s Harbor-UCLA Medical Campus. Supervisor Ridley-Thomas has been a leader in the creation of a 15-acre biotech park on the Harbor-UCLA Medical Campus, funding a bioscience incubator at LA BioMed, and seeking increased investments in bioscience startups and workforce development. Recently, the County appointed two executives to take charge of its County’s bioscience initiative to stimulate both the local and regional economy. Additionally, as part of its economic development strategy, the County has set aside $15 million to incentivize the creation of a bioscience investment fund focused on startups. 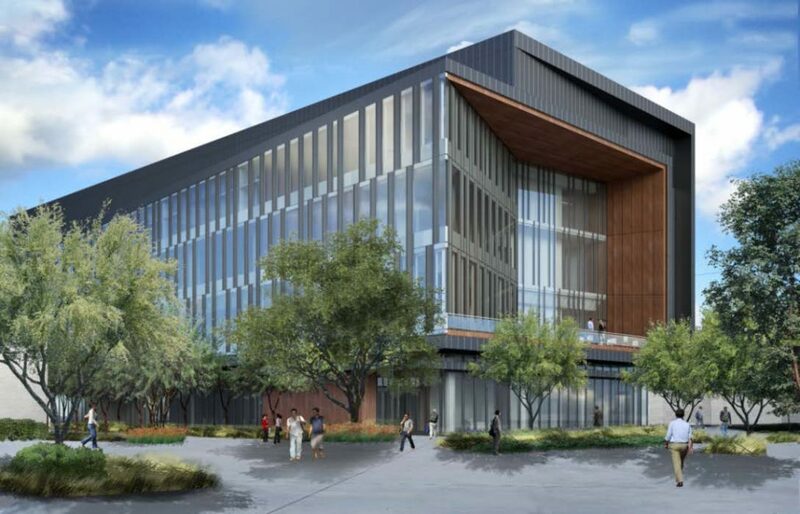 The County is also looking to create a nonprofit organization – BioLA – with a primary mission of coordinating investment and implement policies that support the growth of the bioscience industry. Building on LA County’s significant assets in research and talent development, BioLA would send a strong, highly visible signal that Los Angeles County is committed to becoming a major player in commercial life sciences.